In the ongoing debate of pay parity in Bollywood, actresses like Kriti Sanon and Taapsee Pannu raise a greater issue of credit parity. Recently, Kriti Sanon delivered the box office shattering hit Luka Chuppi that won the actress wide appreciation. However, owing to the male dominated society, the credit of the film however, lied with only the male lead of the film. Similarly, Taapsee Pannu and Amitabh Bachchan starrer Badla has been faring extremely well at the box office, yet again, the credit has been conferred to only the male lead. The actresses have therefore voiced their opinion talking about the unfair system that gives credit to only the male leads despite having an equal if not more impactful role in the film. Unless the industry offers equal credit, equal pay parity is unachievable. 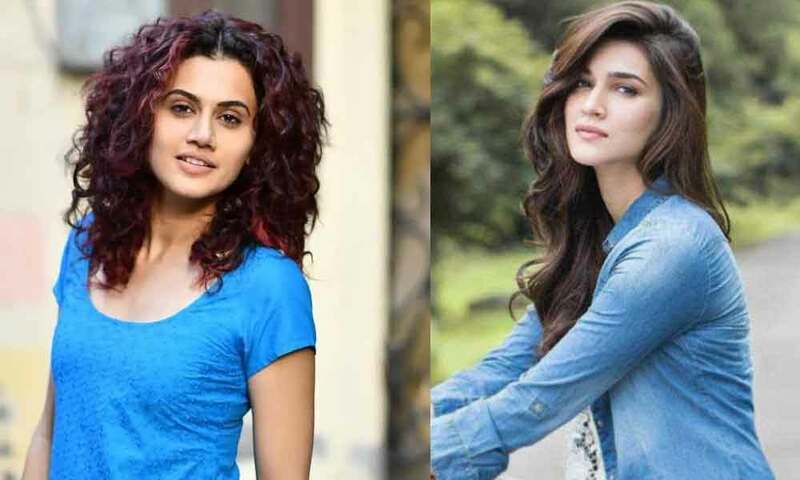 On the occasion of International women’s day, Kriti Sanon was yet again supported by a female influencer who took a stand demanding for Kriti Sanon’s credit in the film business. Even after delivering the titular roles or the main protagonists in the film, the industry has been reluctant to give credit to the females. However, the actresses are now voicing their opinion on their own by not only offering strong performances at the films but also holding the power to draw audience to the theaters. Kriti Sanon will be next seen in Arjun Patiala, Housefull 4 and Panipat.